If you prefer refined 5-star dining rather than cheap street eats, you can still savour authentic Sasak flavours alongside familiar global fare, from Italian to Indian, in the main tourist centres of Senggigi, Kuta and the Gili Islands, or the plush hotels of Mataram. However for the true essence of Lombok cuisine, don’t miss a trip to a traditional ‘rumah makan’ café, vibrant night market or street stall. People in Lombok love to eat out regularly and even the smallest café or street stall acts as a social gathering place for catching up on gossip or to simply hang out with friends. Lombok’s most famous specialty actually originally came from the town of Taliwang on the neighbouring island of Sumbawa. It is freshly barbecued chicken marinated in dried red chili, lemon juice, onion and garlic and covered with a sweet, sour and spicy sambal sauce. It is often accompanied by another local favourite, Plecing Kangkung, which is a local variety of water spinach covered in a tomato based sambal sauce. 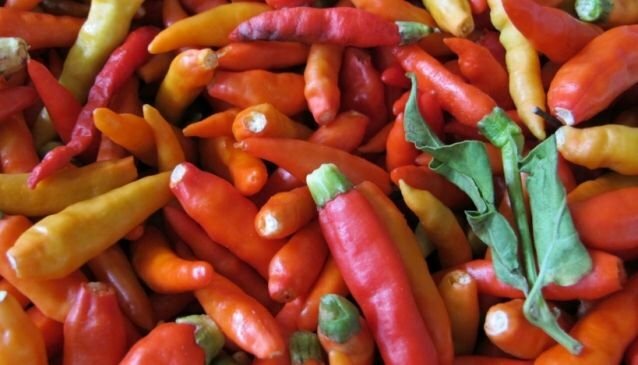 You’ll find this dish virtually everywhere in Lombok, although in some tourist-friendly restaurants the chilli content is toned down slightly to appeal to the more sensitive palates of foreign visitors. Originating from the town of Tanjung in north Lombok, this is one of the many local variations on the ubiquitous satay skewers. You get large chunks of fresh snapper or tuna soaked in coconut milk, lemongrass and garlic and grilled slowly over a charcoal grill. Whereby chicken and goat satay can often be overcooked, Sate Ikan Tanjung is refreshingly light and tender with just a subtle hint of chilli spices. This dish is a hearty beef rib soup slow boiled until the meat is extremely tender. It has a distinctive sweet and salty taste, featuring rich seasoning and served with rice. Chilli sambal is usually served separately so you have the choice to spice it up or not. This is a very traditional dish often served at auspicious occasions such as weddings and religious feasts.